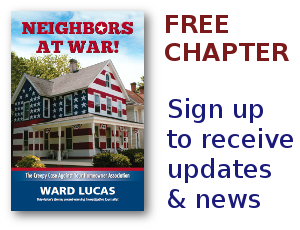 Nancy Quon Archives - Neighbors at War! Use your heads, folks. Of course the coroner will rule suicide, That’s a given. But across this world hundreds and hundreds of millions of people take a bath with a glass, or even a bottle of wine, and they don’t end up dead. How come only Nancy Quon has a glass of wine and dies in a bathtub? Sure, she was under stress. She was about to testify that up to 120 others in the legal, political and Homeowner Association industry were just as dirty as she was. Nancy Quon, all by herself, crashed the dreams of millions of homeowners in Nevada. But she had the ego to think she could skate from under all those federal charges. A woman with that kind of arrogance doesn’t kill herself. She believes in herself right to the very bitter end.